Join Audi Club Golden Gate at its annual AudiTron spring event at Thunderhill Raceway Park, April 5th, 6th, and 7th, 2019 in Willows, California. If it is your first or your tenth time attending an Audi Club driving event we are confident that you will have a great time. The event is open to all skill levels from first timers to advanced drivers. First timers and beginners will spend the Saturday morning in a classroom session followed by practical car control exercises during which you will develop skills and learn the practical side of vehicle dynamics. The classes and exercises are designed to enhance your car control skills in a controlled and safe environment. During all on-track driving activities, all levels of students drive their own cars and will be assigned an Audi Club instructor who will accompany them and provide expert guidance to improve students' driving skills. During the car control sessions, first time and beginning students drive their own cars and are coached by instructors who observe their progress from outside the car during the exercise. This provides each student with the foundational knowledge needed to get the most out of the event. Students are aggregated into Run Groups which are established to allow them to be on track with other drivers of similar experience. First timers and beginning students always have an instructor in the car during on track sessions. Novice, intermediate and advanced drivers will be assigned an instructor. Depending on skill level demonstrated to the instructor during the event, these students may be signed off to solo in the car on the track without an instructor. To ensure that the club provides each student with a safe and secure environment, passing is only permitted on designated sections of the track and under controlled circumstances. The race track does not have side streets, stop lights, pedestrians, or any of the other distractions that are encountered while driving on public streets. 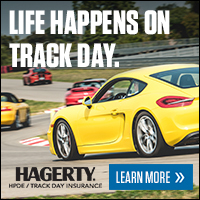 Because of this, time spent on the track provides a great opportunity for each participant to learn advanced driving techniques safely and to explore the capabilities of both driver and car. AudiTron 2019 will take place at Thunderhill Raceway in Willows, California. We will be running the eastern 3.0 mile counter-clockwise configuration of the Raceway which is an SCCA track that includes several elevation changes, short & long straights, and a number of technical turns. It is considered to be one of the safest, and best tracks in America for drivers to improve driving skills. This unique combination of safety and complexity creates the recipe for a great driving experience. Come and join us. You will leave the track on Sunday night with driving skills that will enhance and improve your daily driving experience. AudiTron 2019 begins on Friday afternoon, April 5th, 2019 for check-in, registration and drivers meeting. Check-in will begin at the Thunderhill clubhouse at 6:00 PM and will continue until 7:30 PM. During the check-in period a light meal will be served. Friday evening will also include a special meeting for all first timers, as well as a mandatory meeting for all instructors, and a mandatory meeting for all registrants. Details of these meetings will be provided in your welcome packet; you should plan for the mandatory meetings to take place between approximately 7:30 PM and 9:00 PM. In addition to the light snack provided prior to the Friday night drivers’ meeting, we will provide water and lunch at the track on Saturday and Sunday and we will also provide breakfast at the track on Saturday and Sunday mornings. The track will open early on Saturday and Sunday mornings (at 6:30 AM). Lunch, the cost of which is included in the registration price, will be served at the track. The track will close at 5:00 PM each day. On Saturday evening we will hold a Banquet (catered by Thunderhill’s popular chef Jim Thompson) and fund-raising event at track in the main meeting center. Exact timing and details will be sent to you as part of the welcome packet, which will arrive by email, approximately 1 week prior to the event. Early bird pricing is available until and including February 21st, 2019. For students, $650 for the two-day weekend AudiTron event with early-bird pricing, and $700 after February 23rd. For instructors, $450 for the two-day weekend AudiTron event with early-bird pricing, and $500 after February 23rd. The cost of the event includes water at the track, a light meal on Friday evening, lunch both Saturday and Sunday, and the Saturday banquet dinner. Registration will end on March 22nd, 2019 at 23:59 PM PST. Please NOTE - Registration MAY close earlier than this date if the event sells out. So please do not wait until the last minute to register! The headquarters hotel for the event is the Holiday Inn Express in Willows, California. Be sure to mention you are with the Audi Club to receive a room rate of $109/Night, for 2 nights. To obtain this rate, you must call the hotel directly, and book through the front desk. You can reach the hotel at 530-934-8900. If you call early in the morning, the front desk agent might transfer you to the 800 number, and the 800 number will not know anything about the discounted rate, so if that happens, hang up, and call back later. There are limited rooms guaranteed at this rate, so act quickly. There will be no event related activities taking place at the hotel.